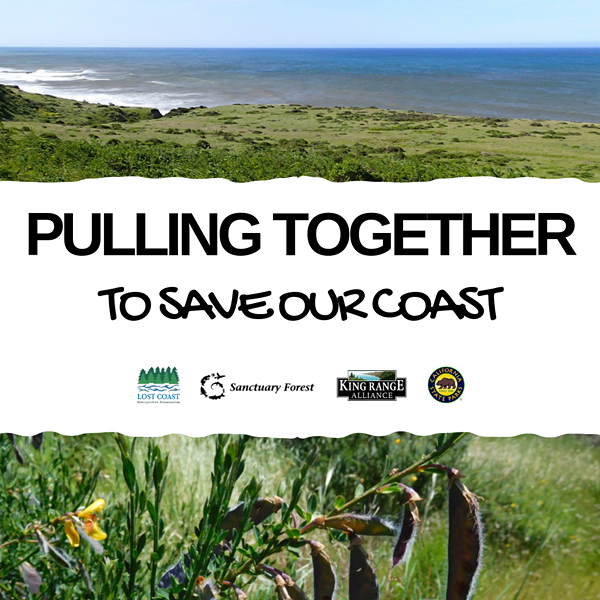 Sanctuary Forest and Lost Coast Interpretive Association are teaming up again with California State Parks for the third year in a row to remove French broom and other invasive species in the Sinkyone Wilderness State Park! We’ll be removing French broom and other invasive species. Hand tools may not necessary for the smaller plants, but if you have a favorite tool, go ahead and bring it. Some hand tools and weed wrenches will be provided. Please bring a lunch, water and gloves. Dress in layers and wear sturdy shoes. To RSVP: visit our website or call 986-1087 x 9#.